I am pleased to announce that Dr. Lorne Wiesenfeld has been renewed for a second term as Vice-Dean of Postgraduate Medical Education (PGME) to serve another five years, from July 1, 2018 to June 30, 2023. This second term for Dr. Wiesenfeld comes on the heels of a very successful review of his first, which included such accomplishments as improving the student experience for incoming residents by formalizing onboarding and orientation; advancing Francophone initiatives by increasing the number of residents at Montfort; strengthening our international excellence; and supporting professional development by instituting orientation and development series. He also led preparations for accreditation and the onsite survey in 2016. 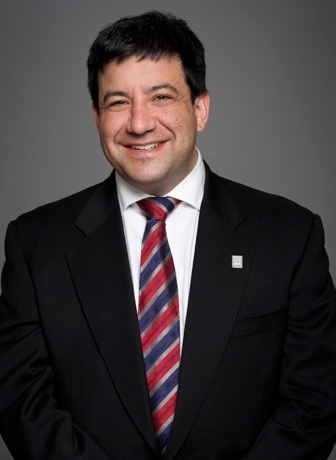 Dr. Wiesenfeld deftly balances his leadership of the PGME portfolio, which oversees more than 1200 postgraduates in over 70 training programs, with his responsibilities as an attending staff at The Ottawa Hospital in the Department of Emergency Medicine. He chairs several committees at the provincial and national level pertaining to changes in residency education and best practices in resident selection. In 2000, Dr. Wiesenfeld joined uOttawa’s Emergency Medicine academic team. As residency director of the RCPSC Emergency Medicine Residency Training program from 2001-2010, he oversaw its growth from five residents to its current complement of over 45. The program is among the most competitive for aspiring applicants and its graduates are all leaders at the local, national and international levels. An adept leader and advocate, Dr. Wiesenfeld provides strong support to residents, fellows and his PGME team, implementing positive change while advancing the mandate of the PGME program and contributing to the mission and values of the University and the Faculty. Please join me in congratulating Dr. Wiesenfeld on his reappointment as Vice-Dean, PGME.